The update adds a ‘cut page’ to the software’s UI for fast-turnaround editing, new ResolveFX effects plugins, and the DaVinci Neural Engine: an AI-driven toolset for automating repetitive tasks. 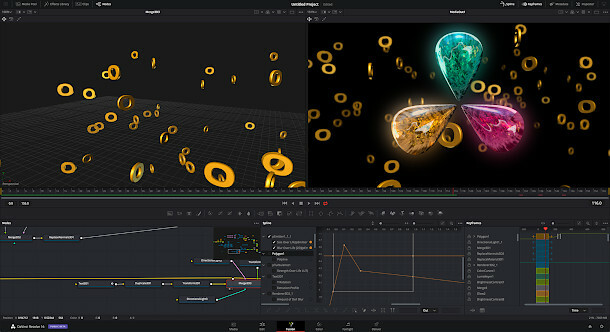 The software was released in public beta at this week’s NAB 2019 show, alongside Fusion 16 Studio, the latest version of Blackmagic’s standalone compositing software. Although it isn’t necessarily the one that will most appeal to CG Channel readers, the headline feature in DaVinci Resolve 16 is the new cut page. Intended for editors working on projects with tight deadlines, it provides a more “streamlined” alternative to the existing edit page, with integrated colour, audio and titling capabilities. It also introduces what Blackmagic describes as “revolutionary new tools”, including a source tape mode and dual timeline for trimming. The former presents all of the clips in the media bin as a single, continuously scrubbable ‘tape’, making it quicker to locate the relevant sections of footage. The latter provides parallel timelines showing an entire program and the current work area. 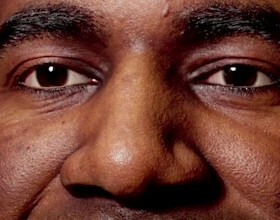 Both can be used for trimming, minimising the need to zoom in and out. On Blackmagic’s forum, users have compared the cut page to the changes Apple made to Final Cut Pro in Final Cut Pro X. Like FCPX itself, it divides opinion, but it is provided in parallel to the edit page, so it is still possible to work in the traditional way, or to switch between workflows as jobs demand. The update also adds the DaVinci Neural Engine, a new AI-based system designed to provide “simple tools to solve … repetitive and time-consuming problems”. Examples include sorting clips into bins according to whether people feature in the shot, driven by the Neural Engine’s face-recognition capabilities. Other features driven by the Neural Engine in Resolve 16 include retiming or upscaling footage, and automated colour-matching between clips. Graphics-related changes include “major improvements” to the ResolveFX toolset, including new plugins for adding vignettes, drop shadows, analogue noise and chromatic aberration; and for removing objects. In addition, there are improvements to the scanline, beauty, face refinement, blanking fill, warper, dead pixel fixer and colorspace transformation plugins. Users can also now view and edit ResolveFX keyframes from the timeline curve editor on the edit page or from the keyframe panel on the color page. 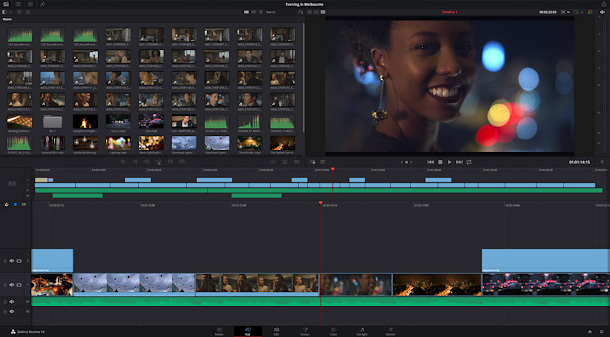 Other new features in DaVinci Resolve 16 include adjustment clips, making it possible to apply blend modes, grading changes, ResolveFX effects or transfomation to stacks of clips in the timeline. Support for GPU acceleration has also been extended, notably in the Fusion compositing toolset (pictured above); and there are new GPU-accelerated scopes for waveform monitoring. The software’s Fairlight audio toolset also gets a number of new features, and the software now features native integration with video review platform Frame.io. You can find a full list of changes and performance improvements via the link at the foot of the story. Outside the software, Blackmagic Design has also announced the DaVinci Resolve Editor Keyboard: a dedicated control device for editing. It is designed to be used two-handed, with users scrubbing through footage via a built-in search dial to the right of the keys, and features a number of other ergonomic improvements. At $995 – over three times the cost of the Studio edition of the software – it isn’t exactly cheap, but it’s an all-metal design, and sounds as though it should be pretty durable. DaVinci Resolve 16 is available now in public beta for Windows, Linux and macOS. The DaVinci Resolve Editor Keyboard is due for release in August 2019, and will cost $995.